If you or your crew are on jobsites outdoors this summer, especially during these recent days of record heat waves, remember to always follow best practices for hot weather work. 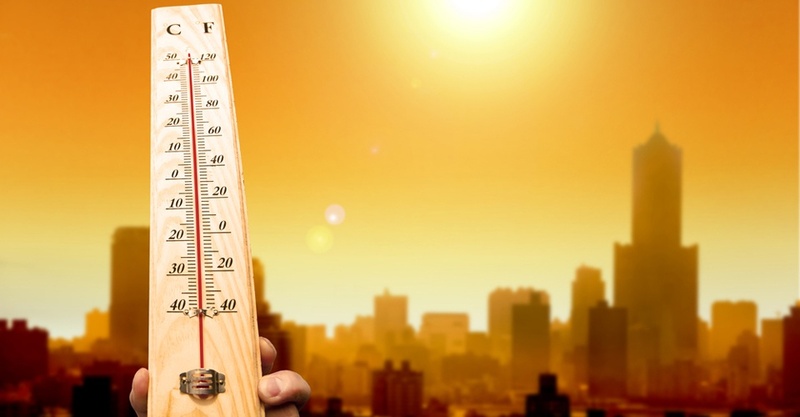 Heat-related problems occur when the body’s normal temperature-reducing mechanisms get overwhelmed, especially during vigorous physical activity, and become inefficient or stop working. An active body creates heat. When it is exposed to hot, humid temperatures, sweating occurs to evaporate and cool the body. Heat exhaustion can develop from the combination of an increased internal temperature and the excessive loss of fluids to the environment, typically from sweating. Signs include heavy sweating and pale, cool skin. The person may become nauseated and vomit. She may complain of a headache or dizziness, and feel weak. Although it may not appear serious, treat suspected heat exhaustion without delay. Without immediate treatment it could progress to heat stroke, a life-threatening condition. Stop the person from activity and move her to a cooler place. Loosen or remove excess clothing. Have the person lie down and raise the legs 6–12 inches. Spray water or apply cool, wet cloths to head and torso. Use a fan to speed evaporation. Encourage the person to drink cool fluids, preferably a sports drink with carbohydrates and electrolytes. If the person does not improve or seems to get worse, activate EMS. Heat cramps are uncontrollable muscle spasms that can affect the calves, arms, abdominal muscles, and back. They can occur suddenly and be very painful. Manage cramps by stopping activity, moving the person to a cooler location, and having them drink water or a sports drink. Stretching and direct pressure to the cramping muscle may help. Delay further activity until the cramping has been resolved. Need to get your team ready for hot weather work? Summit offers training to help you safely plan and conduct work during the dog days of summer. Click the button below for our Heat Stress courses.